Police leading the hunt for Madeleine McCann enjoyed a two-hour lunch on the same day her parents were forced to deny accusations they played a part in the little girl's disappearance, it emerged last night. 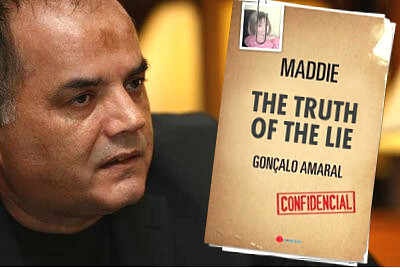 Chief Inspector Olegario Sousa and the detective ranked number three in the investigation, Goncalo Amaral, drank wine and whisky with their lunch in Praia de Luz as a news programme replayed footage of Gerry and Kate McCann facing questions at a gruelling press conference in Berlin. But last night Chief Inspector Sousa defended his detectives drinking in the middle of a working day. "It is very, very sad but a person's free time is for lunch.That is normal to do, " he said. The long lunch was taken hours after the Berlin leg of their gruelling promotional tour at which Mr McCann told a worldwide audience that police in the Algarve were "working harder than even Kate and I" to find the youngster. Another diner in the restaurant told how the group became animated when the replay began and proceeded to discuss the case in Portuguese, in front of other diners. 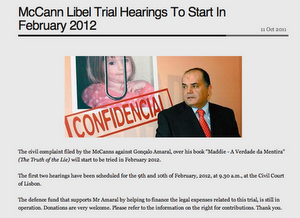 Madeleine's grandmother Eileen McCann, 67, said: "I'm not happy about that. My worries are for Kate and Gerry." Her aunt Philomena said: "If it were detectives from Scotland Yard there would be absolute uproar. But we have to let them get on with their work because that's all we have to rely on. "We have to accept their approach because the British government will not intervene and take over. It is a different culture where they have lunches and siestas but we hope the work is made up at other times." EILEEN MCCANN : Quite An Enigma Lets Meet Her Shall We!